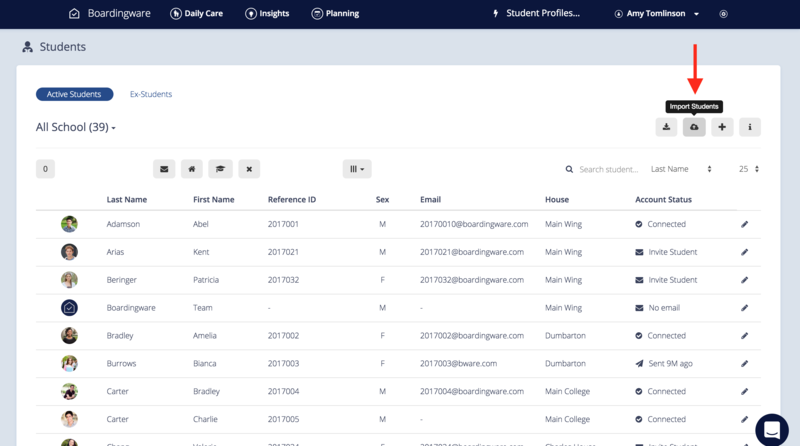 Boardingware gives you the ability to upload all your boarders in a single csv file. If you are looking for how to update your students click here instead. First, navigate to the 'Students' page then click on the 'Import students' icon. 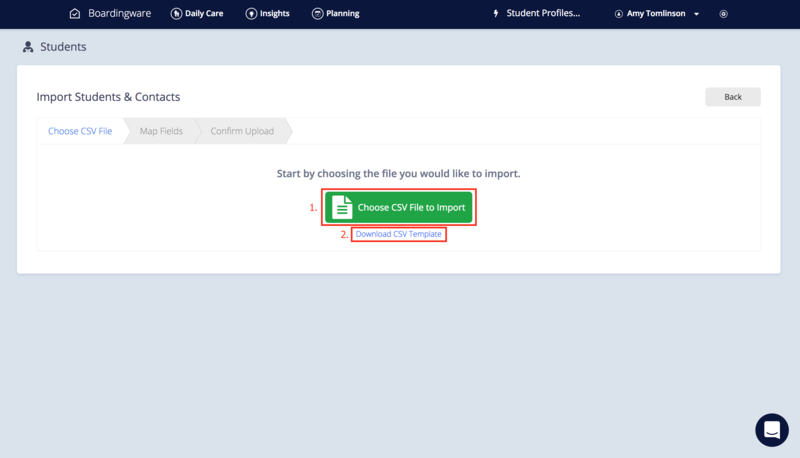 If you already have a set of students in CSV (Spreadsheet) form then click option 1: 'Choose CSV File to Import'. If you want to build a CSV from scratch using our template please click option 2: Download CSV template. Click here to learn about how configure the CSV template for upload. 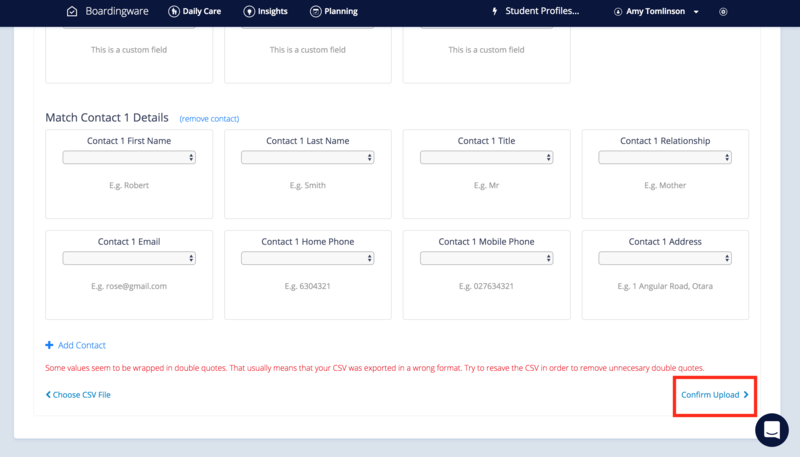 The next screen shows you all the fields that can be loaded for each student profile. The mandatory fields are 'Student First Name' and 'Student Last Name'. 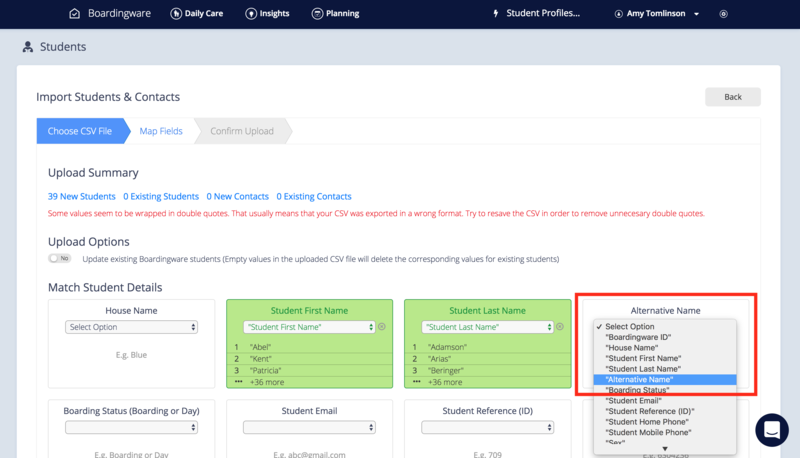 If you are using your own format of CSV file, the system will need to you select your fields by choosing the corresponding names from your CSV. Note: The warning in red that appears let you know if the .CSV file fails to upload, there maybe an issue with your spreed sheet. Feel free to contact us if you have issues. Otherwise, ignore this warning and continue with your upload. Then you are done! 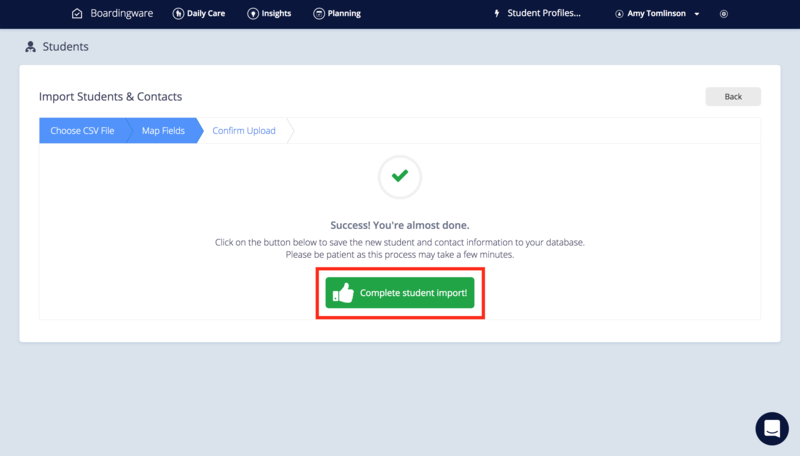 Just click the 'Complete student import!' button.